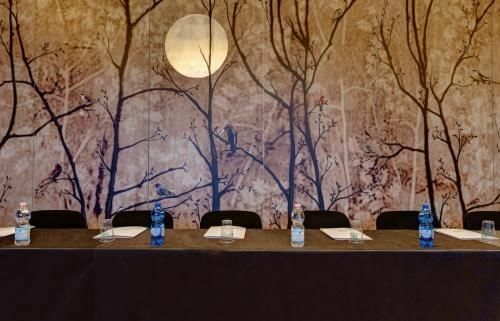 The Klima Hotel Milano Fiere boasts an extensive conference centre which can accommodate up to 300 guests. We offer 5 fully equipped meeting rooms which can host congresses, conferences, product launches, meetings, exhibitions, seminars and all types of corporate events. Each meeting room is modular and features natural daylight, a screen, a videoprojector, a flipchart, complimentary Wifi connection as well as pens and notepads for all guests. Other special equipment is available on request. 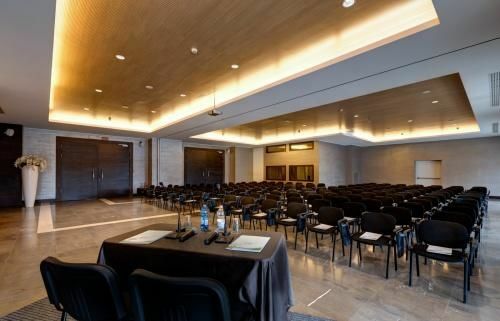 Our main plenary room is particularly suited to host meetings and international conferences with simultaneous interpretation. It is therefore equipped with interpreter booths. Our event team will be happy to help you organise your event and provide extra services such as catering, technical assistance or secretary services. For further information and rates please complete our online contact form.